Construction workers many times are faced with working in confined situations. When these spaces are restricted with regard to physical movement, airflow in and out, and possible respiratory irritants/contaminants, special care and safety processes need to take place. 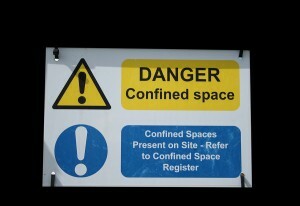 While OSHA has always been cognizant of the dangers of Confined Space Entry, up to just recently there has been little addressed regarding those Confined Space dangers within the Construction Industry. OSHA remedied this gaping hole by creating CFR 1926.1200 Subpart AA with clearly and specifically defines regulatory compliance for Confined Space areas in Constructions. We are pleased to make this new video, online course available that addresses the new standard. This course will cover in depth topics about confined space entry specifically focused on the construction industry like – identifying confined spaces, safety procedures to avoid injury, what to do in the case of emergency etc. Who should take this course: Any construction worker that may have to enter, attend, or supervise work in confined spaces.